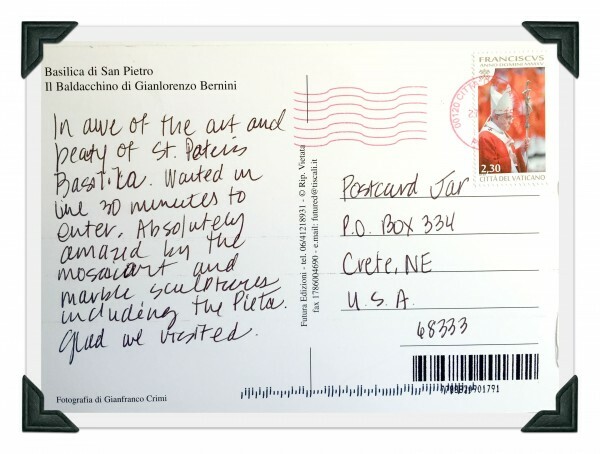 As you may already know, whenever we travel, we look for opportunities to purchase postcards and mail them home to our “postcard jar” [read more about that here]. We started doing this several years ago as a way to easily document our travels, remind us where we’d been, and collect a small keepsake from all of our favorite places. While it is typically fairly easy to find postcards at most tourist attractions, finding a place to buy a stamp and mail the postcards can, at times, be a challenge. 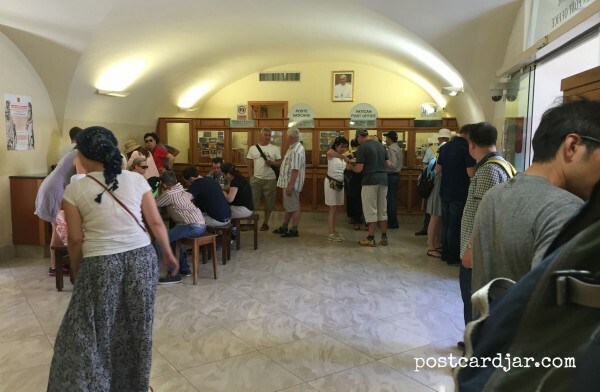 You can imagine our delight when we stumbled across the Vatican Bookstore and post office and found it filled with literally hundreds of postcards and everything we needed to mail them right then and there! 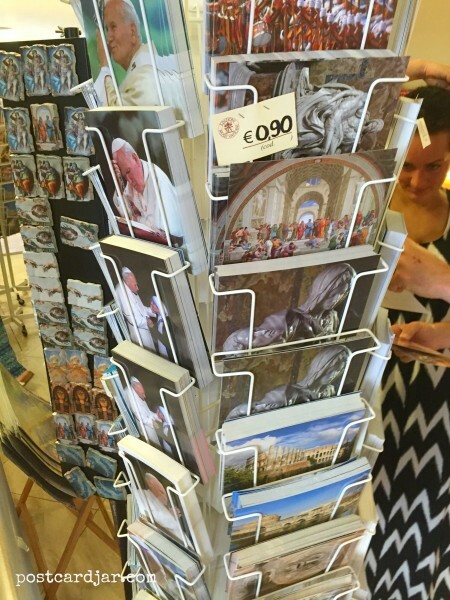 A large section of the store was dedicated to racks and racks of postcards with pictures of the Pope, The Vatican, The Pieta’, St. Peter’s Basilica, and the like. And even better, there were actually tables and chairs where you could sit down and draft a thoughtful note and countertops where visitors stood and wrote out their postcards. 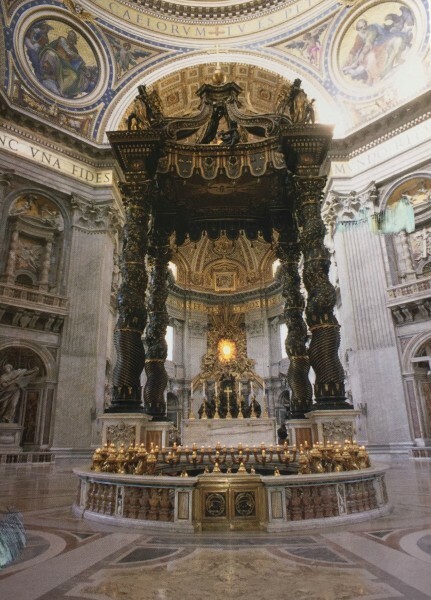 The Vatican bookstore and post office, complete with writing tables! 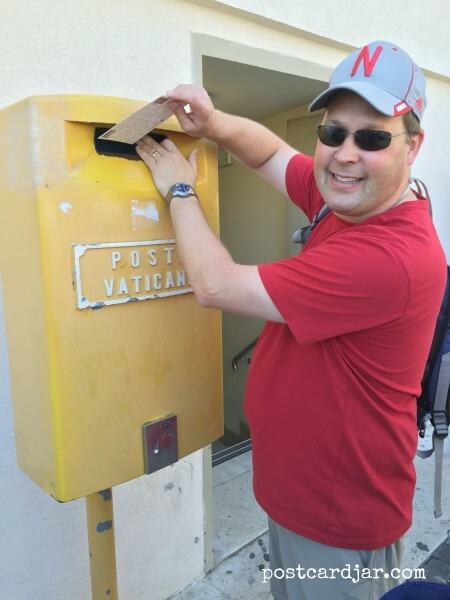 We purchased a postcard of St. Peter’s Basilica for our postcard jar and Steve picked out a special postcard for one of his colleagues back home. I LOVE that you do this! Postcards are “real”- that’s what I love about them. There’s something about writing with a pen/pencil and then licking a stamp and sticking it in a box. And then, it’s even more fun to be on the receiving end. Call us old fashioned, but we love this little tradition of ours. It is so much fun to reminisce about past trips while digging through the postcards in our jar.